Q1.What is the respective ratio of the total number children from village O to the number of children attending school from the same village ? 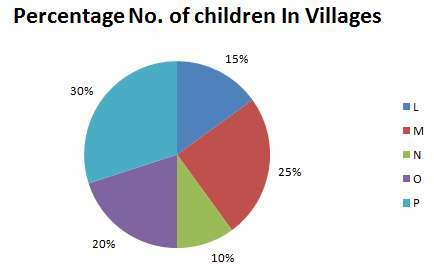 Q2.What is the number of children attending school from village N ? 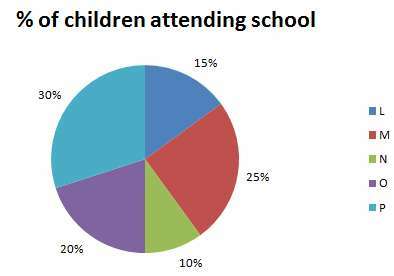 Q3.What is the total number of children not attending school from villages M & N together ? Q4.What is the total number of children from villages P and M together ? Q5.The number of children attending school from village L is approximately what percent of the total number of children from that village ? Solution : (14 % of 1450 )/ (15 % of 3060) = 44.22 ==> ~ 44.